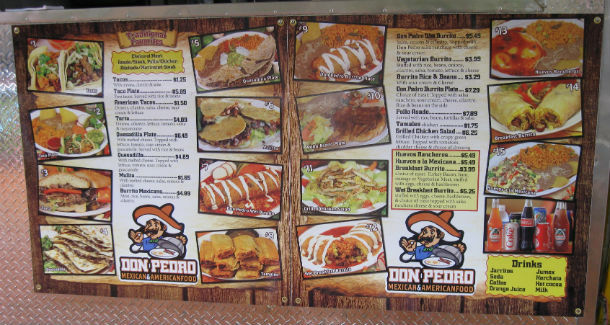 Don Pedro is a Mexican food cart located on SW 5th Ave., in between Stark and Oak, in downtown Portland, Oregon. They are still a fairly new cart, having opened a few weeks ago. The menu here is fairly standard. Me? 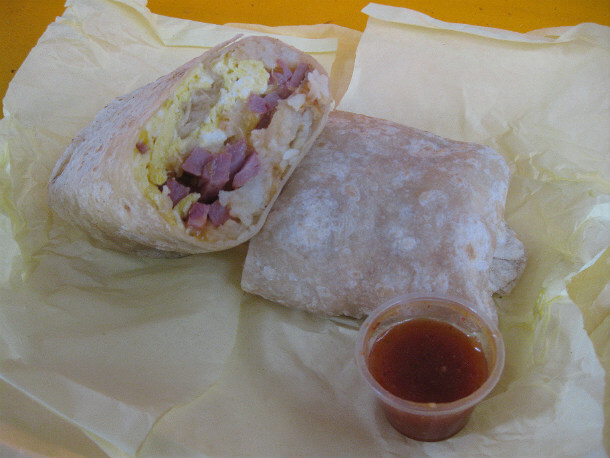 I love hunting down and speed-eating breakfast burritos. 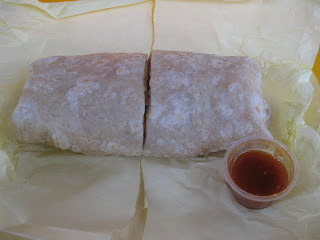 That was the plan here as well, getting the $4 burrito with ham, egg, cheese, and potatoes, all inside a warm flour tortilla. I got some hot sauce to go with it, but my faithful Yelp friends likely know by now that standard Mexican hot sauce will not make me flinch. Nice tight wrapping on the burrito! Cross-section of my burrito, with ham, eggs, potatoes, and cheese! A pretty good burrito here, quite pleasing in heft. The potatoes -- really in the form of hash browns -- were very soft and enjoyable. I loved the melted cheese. The ham gives some good meaty saltiness to the burrito. Not overflowing with meat, but still a nice amount. 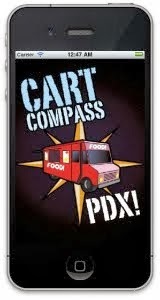 I'm happy they are open fairly early for a food cart (roughly 8 or 9 a.m.). They close for the day about 12 hours later.